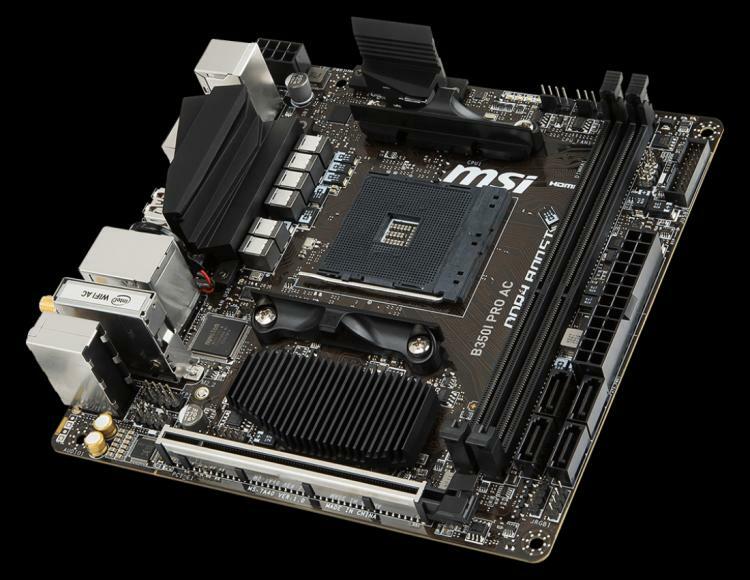 MSI introduces a new mini-ITX motherboard for the Socket AM4 AMD Ryzen processors – the B350I PRO AC motherboard. 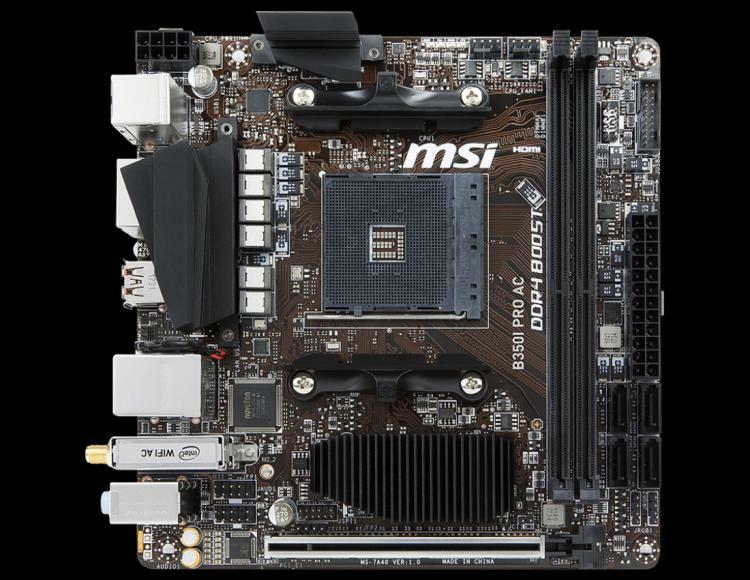 The MSI B350I PRO AC uses the compact mini-ITX form factor with features that are designed for professional, multimedia and gaming. Even with its compact size, MSI was able to fit in a strong 9-power phase PWM design (6+2+1) that’s quite challenging to layout and unseen on any AM4 mini-ITX motherboard. It sports MSI’s signature Military Class components that ensure stability and durability along with DDR4 Boost to ensure performance. The B350I PRO AC also sports a DisplayPort and HDMI output and 2x pin headers for RGB lighting. 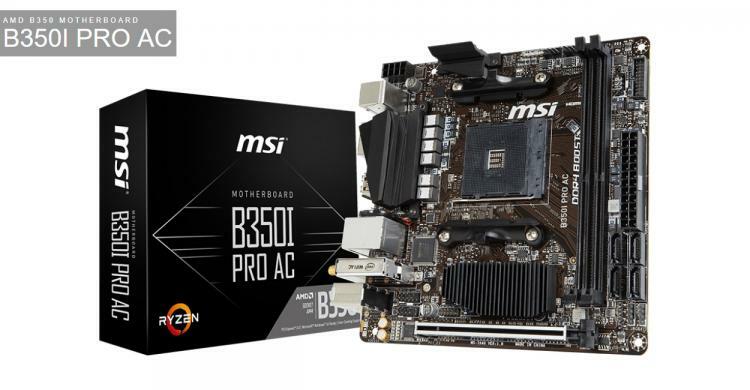 Like most of MSI’s gaming and enthusiast-grade motherboards today, the B350I PRO AC also comes with the proprietary Mystic Light support for RGB lighting control, customization and synchronization with other supporting RGB lighting devices.